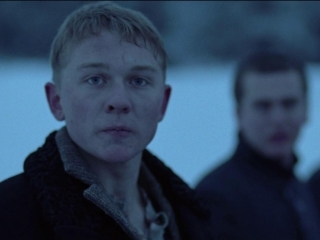 Based on a true story: Norwegian winter, early 20th century. On the island Bastoy, located in the Oslo fjord live a group of delinquent, young boys aged 11 to 18. The boys daily, sadistic regime is run by the guards and the principal who bestow both mental and physical abuse on them. Instead of the boys being straightened out with education they end up being used as cheap, manual labor. The boys attempt to survive by adapting to their inhumane conditions. One day a new boy, Erling (17), arrives with his own agenda; how to escape from the island. How far is he willing to go in order to get his freedom? After a tragic incident takes place, Erling ends up forced into the destinies of the other boys by leading them into a violent uprising. Once the boys manage to take over Bastoy 150 government soldiers are sent in to restore order. Are you tuned-in to King of Devil's Island? Let your friends and followers know.